يشكل فندق 353 كوزواي بموقعه الممتاز في المدينة نقطة انطلاق جيدة لاستكشاف أفضل ما فيها من معالم ومناطق نابضة بالحياة. يمكن من هنا للضيوف الاستمتاع بسهولة الوصول إلى كل ما تقدمه هذه المدينة النابضة بالحياة. يوفر العقار بفضل موقعة الجيد وصولاً سهلاً إلى أهم معالم المدينة. تنعكس أجواء فندق 353 كوزواي في غرف الضيوف.تلفزيون بشاشة مسطحة, مرآة, شباشب, مناشف, إغلاق هي بعض الميزات الموجود في العديد من الغرف. يمكنك الاستمتاع بالأجواء المريحة التي تقدمها مركز للياقة البدنية, غرفة بخار طوال النهار. مهما كانت دواعي سفرك فإن فندق 353 كوزواي هو خيار ممتاز لإقامتك في المدينة. يرجى ملاحظة أن استقبال الفندق يقع في إكويتابل بليس بين شارع كولينز وشارع ليتل كولينز وهو مفتوح على مدار 24 ساعة في اليوم. يرجى ملاحظة أن الفندق له ترتيب لموقف سيارات مخفض في موقف سيارات ويلسونز جاليريا على ناصية شارع ليتل كولينز وشارع إليزابيث وشارع ويلسونز 200 كوين. يرجى الاتصال بالفندق مباشرة لمعرفة الاتجاهات ومواعيد العمل والأسعار. يرجى ملاحظة أن مواقف السيارات لها ارتفاع أقصى هو متران. The location is great close to everything, and the staff are great and willing to help in anyway. The premium spa room has a massive spa which in some places is lucky to fit 1 person,these fit 2 with ease. The only downfall is breakfast,very unsatisfying. Not much range and do not cater for someone with Gluton or lactose intolerant. I would stay again just for the location alone. Fantastic location. The hotel entrance is on an alleyway that is lined by restaurants and cafes, and good ones too. Our room didn't come with breakfast but that was perfectly fine with us as the cafes right outside spoiled us for choices. 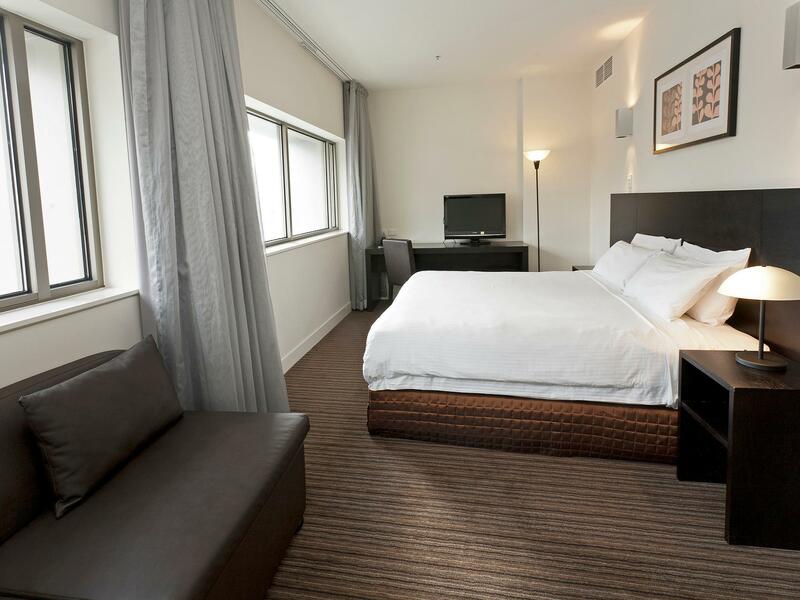 Tram stops are just a few meters away and the hotel is within the free tram zone of the Melbourne CBD. Convenience stores and pharmacies are in the vicinity and lots of shopping and dining can be done. Flinders Street Station is around a 10-minute walk. The staff is generally helpful and friendly. Experience would've been so much better if the staff were a bit more fastidious about vacuuming the room. We could practically write on the layer of dust left on the furniture. Suffered from allergies throughout our stay. Easy check in, easy check out. Quiet rooms at night for a good night's sleep. Block-out curtains are almost too good - no light gets in, makes it hard to wake up in the morning! 10 minutes walk from the Sky Bus terminal at Southern Cross Station if you've arrived by plane - just walk it if you're up for it, don't bother with the additional hotel shuttle. We chose to go out and find breakfast even though we had it included in our room rate, so that's not their fault. Well, can't sight the hotel as it's in the lane but once you found it, it's quite a hidden gem. Cafe along both side of the lane. 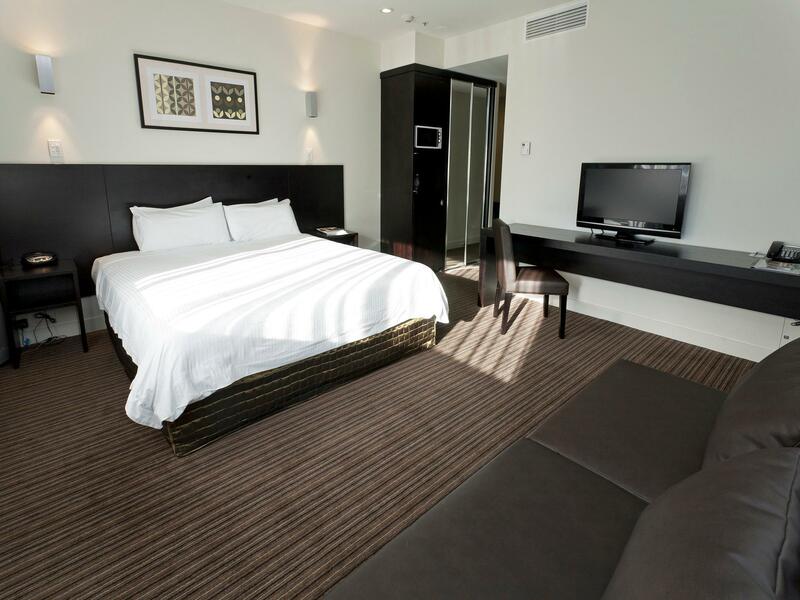 Room was decent for the price we paid and very easy to get around Melbourne city. Hotel was comfortable and reasonably priced, good location for my training and plenty of restaurants to chose from. 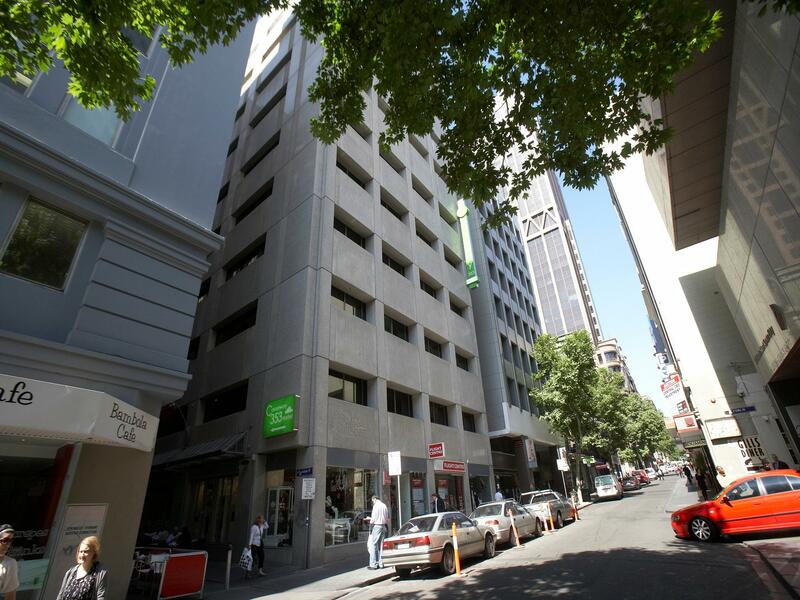 Good parking deal offered by the hotel which is a necessity when trying to park in the city. I always stay to this place because of Great Location and Great Value. This time I made a mistake with my booking as I requested a twin bed rather than a King bed. I rang to the operator and explain to her and need her help if possible. What she did is only try to say that is my fault and keep telling me about what I did wrong. She talk over me while I try to explain and need her help. I know this is my mistake but I think she should handle this better to keep customer comfort and rather than keep saying it is your mistakes. However the manger came and fixed this problem. I still have to say most of staff here wonderful but sometime only one person can leave a bad experienced. Very comfortable. Staff were friendly and attentive. Room was very good. Basic facilities but acceptable as we spent most of our time outside. Breakfast was satisfying but basic. Would definitely come back. 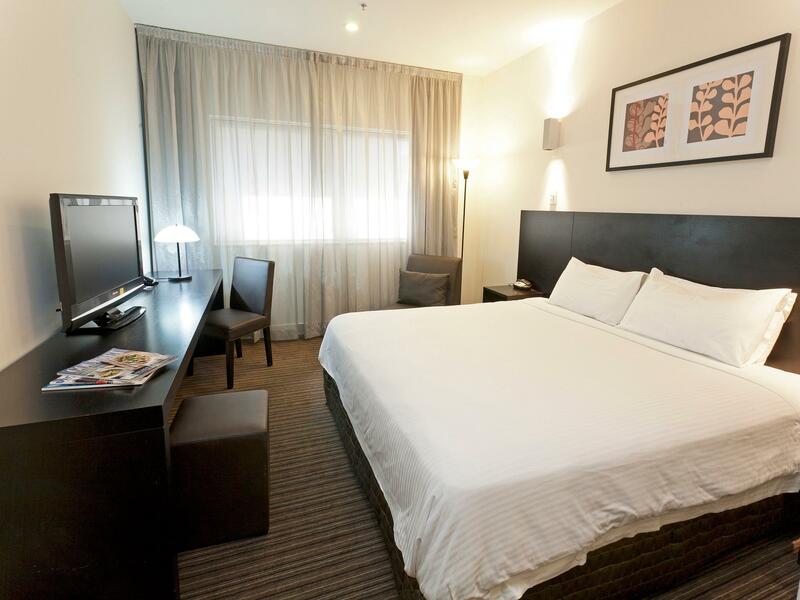 Short walk to Bourke Street Mall and Flinders Station. Breakfast selection is ok for the room rates. Friendly and helpful staff. Cleaners though are not very thorough. Left the bed messy one time and trash can full for days. Stayed 3 nights at a good price, was perfect location and everything was clean and tidy. Comfy bed and the decor was modern though some materials on the cheap side and had worn a little (bench tops and chairs). Overall happy with the hotel and would stay again. I'm not sure what category of room we booked, but it was a large room and very happy with the location also. 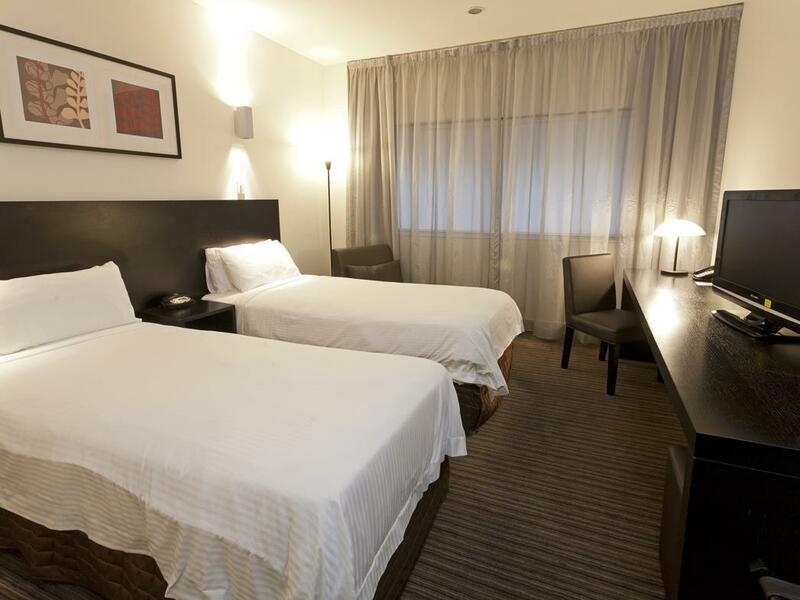 Depending on what rate per night we are able to get, we consider this one of our preferred hotels in Melbourne CBD. The staff where very friendly, location was good, down a lane and there were many places to eat in the lane. Clean and big room. Nice Thai restaurant in basement of the building this is where you have breakfast. We tried to extend our stay but hotel wanting $70 more. We were not happy with as I think there should have been some customer loyalty. We decided to leave and go to another hotel which was just around the corner for half the price. A very well run hotel which is so close to all the amenities. The staff were efficient and helpful. 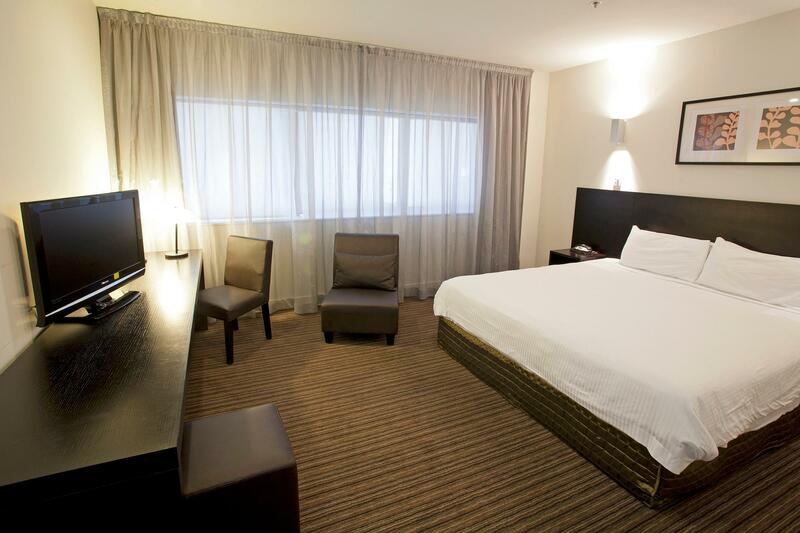 The hotel has a laundry room on the 5th floor and a business centre on the 2nd floor. 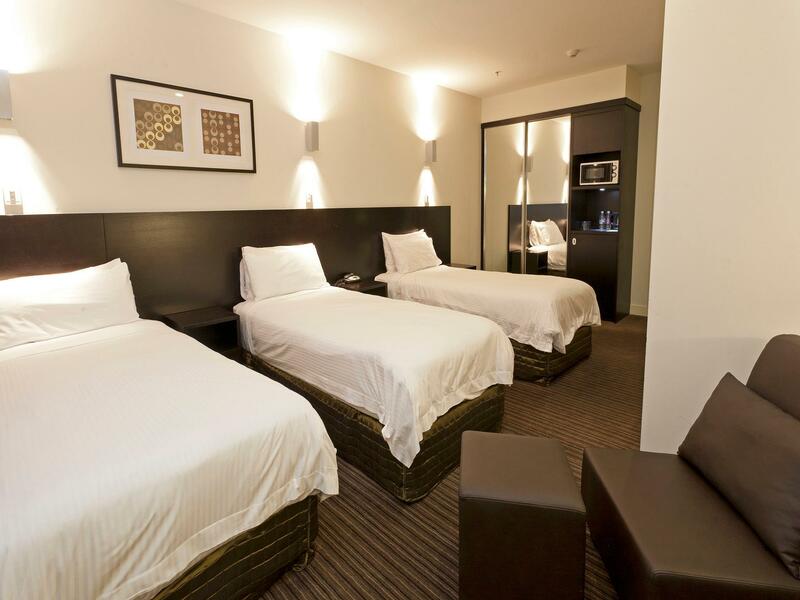 The rooms are very clean and spacious. 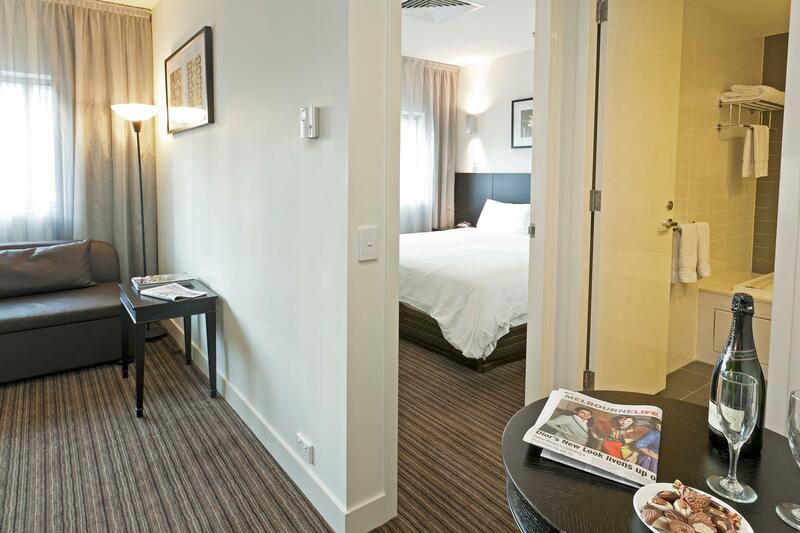 The hotel is in a great location however the doona doesn't even have an actual cover it's just layered in sheets, the bathroom doesn't have an exhaust fan. The buffet breakfast was quite average and we had to put in a complaint because I had ordered a twin room and we to the two beds attached. We also had the cleaners asking to clean the room at 9am when we were checking out at 10am and vacuuming the hallway at 9am on a Sunday.